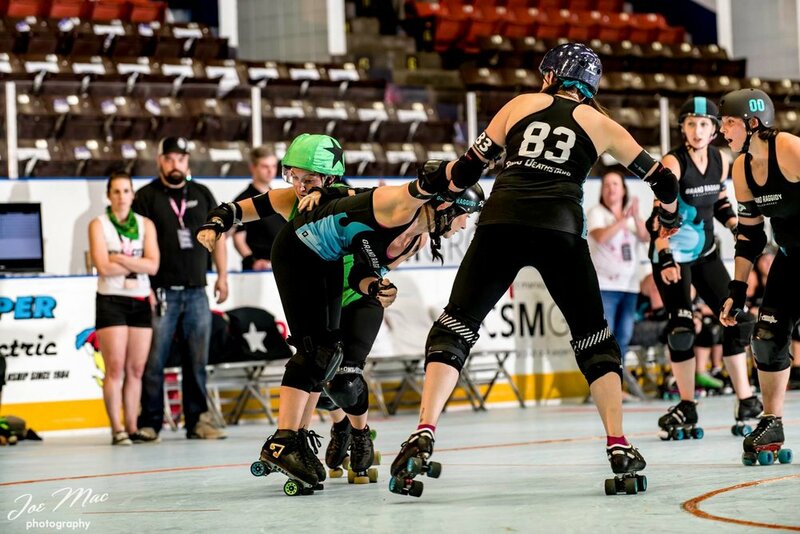 All Stars vs Brute Leggers at the 2018 Continental Cup. Photo by Joe Mac. 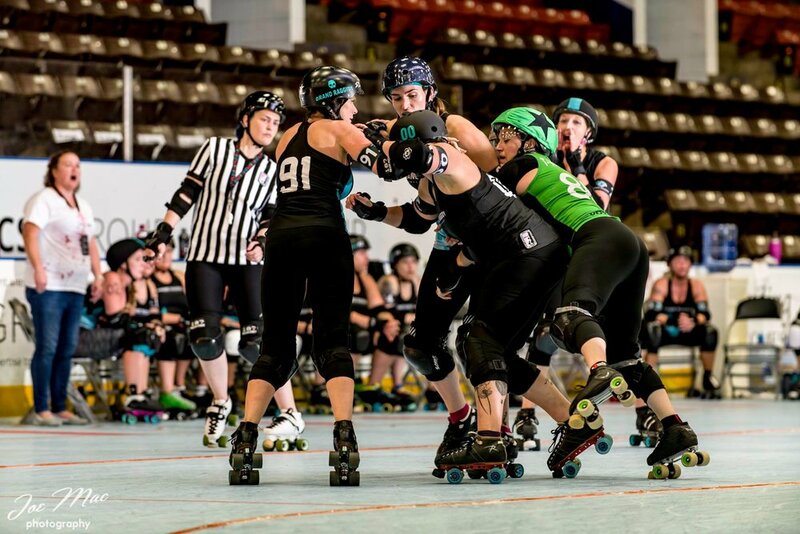 The previous meeting between Grand Raggidy Attack and the Rum Rollers occurred at Kalamazoo’s K-Town Shakedown in 2017, with the Rum Rollers coming out on top 310-85. Attack has held onto key veterans and welcomed new blood who will provide a reinforced roster of competition to bring the heat. We sat down with one of our All Stars captains, SugarPants, to get her take on the upcoming game. Q: How have practices been and how has the team prepared for the season opener? Q: The last two meetings against Royal City were close scoring affairs and exciting to watch. What do you think they will bring to the table? Q: What do you feel are Grand Raggidy’s strengths going into this game? Q: What can Grand Raggidy improve upon as team? Q: Blocking was phenomenal last summer, specifically during ECDX and Continental Cup. Do you feel the team will be able to carry that momentum after the extended off season? Q: How efficient has the system been without a full-time coach? Q: Any key injuries to players that may affect performance? Don’t miss the action this Saturday, March 23! Doors open at 5:00pm and hard hitting action begins at 5:30pm with the All Stars leading the charge at Griff’s Georgetown, located at 8500 48th Avenue, Hudsonville, 49426. Find more information on Facebook.